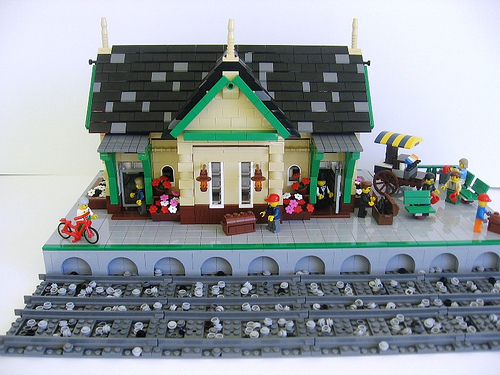 Looks like the Train Tech Building Contest at Eurobricks is bringing train fans out of the woodwork. Josh Morris (I Scream Clone) has drawn inspiration from his local Wollongong (wool-on-gong to the non-natives) stations for this cute little destination. I’m particularly drawn to the grille bricks under the arches but given the scarcity of Aus-inspired train stations it was always going to be a winner in my eyes.